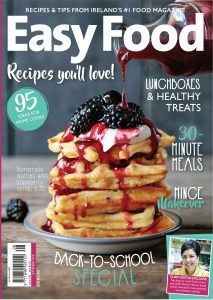 We run through our favourite reasons to pick up the September issue of Easy Food. 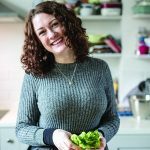 Busy mum, food writer, stylist and cook, Sharon Hearne Smith is serious multi-tasking goals! 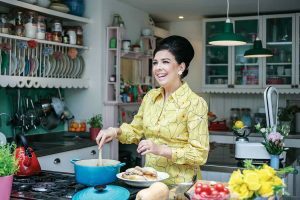 We visited her beautiful kitchen where she gave us some of her best cooking tips and quick-fix recipes from her new cookbook. It’s that time again, and we’ve got some great new ideas for lunchbox bites that your kids are sure to love. Over in the Test Kitchen, Food Stylist Shannon has been baking sweet and savoury treats to pop in, too. 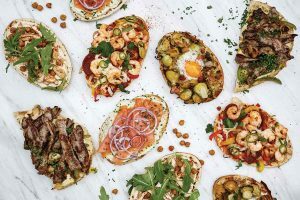 We love flatbreads for easy lunches, quick dinners and casual entertaining. Try out one or more of our fun topping ideas using naans, pittas or other flatbreads. These new family favourites prove once again that it’s possible to get a nutritious dinner on the table when time is short. 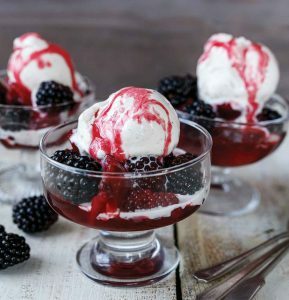 Make your night in extra special with these tasty treats! 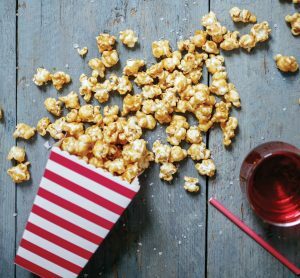 From creamy, spicy jalapeño poppers to homemade toffee popcorn, there’s something to suit every palate. If you have older kids heading off to college (or staying at home, for that matter!) now’s the time to teach them basic cooking skills. Each of our culinary building blocks – once mastered – can be used to create loads of different dishes, so this crash course in cooking is just what’s needed. We’ve been experimenting with sweet, seasonal carrots, a budget-friendly and versatile addition to any vegetable drawer. 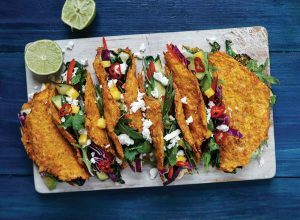 We especially loved these low-carb carrot taco shells; fill them with plenty of fresh veggies and feel very virtuous indeed. Recipe Editor Jocelyn Doyle is off to West Cork to explore the world of minimum-waste production, sustainable sourcing and exceptional artisan bean-to-bar chocolate. Chocoholics will definitely need to check this one out. Our favourite butcher Michael Fleming takes a break from the turf to discuss the surf! If you’re wary of cooking fish, this is a good place to start (and you’ll love our Chinese-style sweet and sour fish recipe). We’re welcoming autumn into our kitchen, and it tastes so good; just look at the waffles on the cover, for cryin’ out loud! Try our sweet harvest fruit in warming ginger syrup, tender pork fillet with cauliflower mash and apple pan sauce or our fabulous recipes for apple snacks, dinners and desserts. These energy-rich lunchbox treats are packed with fibre, protein and healthy fats. With a winning combination of sweet and salty flavours, both kids and adults will love them. 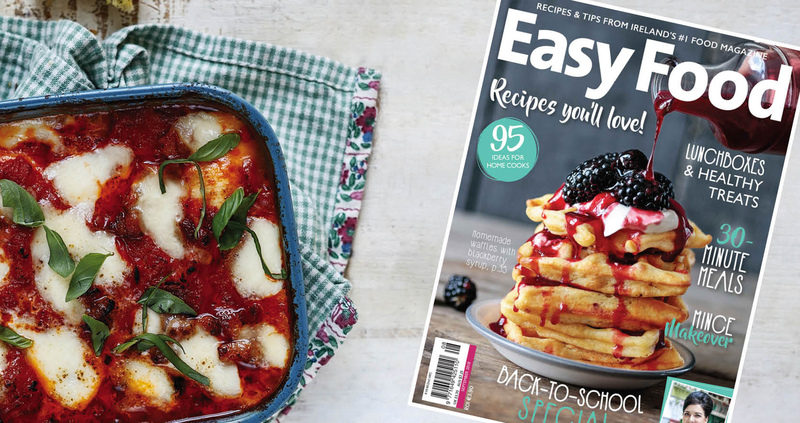 The September issue of Easy Food is in shops now with 95 seasonal recipes! Hi i bought your magazine for the first time yesterday. All i can say is thank you! I have never ever had success with brown soda bread and i currently have my second loaf in the oven now. I love it my kids loved it and i love the fact that this time it didn’t end up in the bin.